Doorway on W.Cedar St. on Beacon Hill. A door in Spring scenery, charming composition! Very well done! oh, what a classy ornamentation for this door. And a happy spring to you! Gorgeous flora and beautiful building! 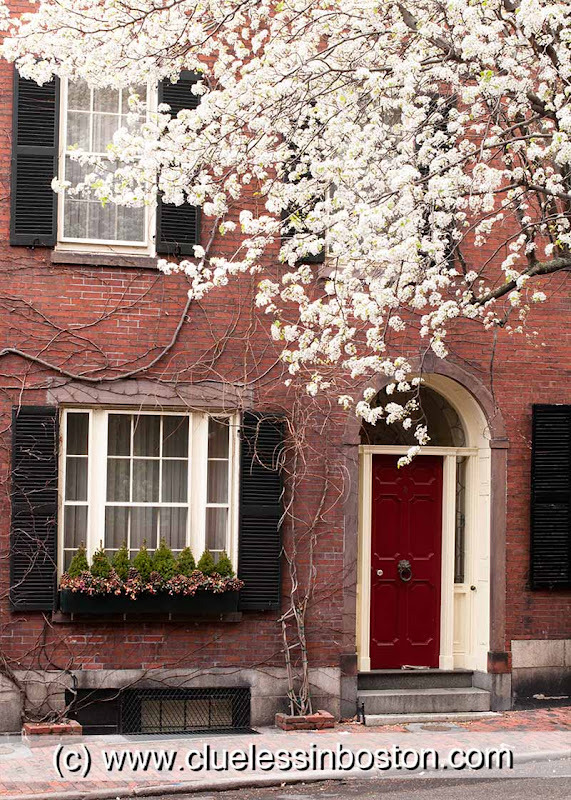 Spring matches very well with the old bricks of Boston!